Nathaniel Sereaton, 36, of Ashford Road, Luton, and Michael Akinola, 18, of Waterside Close, London, were arrested by officers from Cambridge’s Impact Team in August last year following reports of drug dealing in Staffordshire Street. 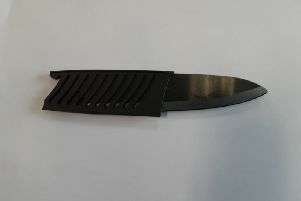 Searches were carried out and both men were found to be in possession of more than £1,500 in cash, Sereaton had also concealed four wraps of cocaine on himself. Sereaton was charged with possession with intent to supply class A drugs, being concerned in the supply of heroin and possession of criminal property. Akinola was charged with being concerned in the supply of heroin, being concerned in the supply of crack cocaine and possession of criminal property. 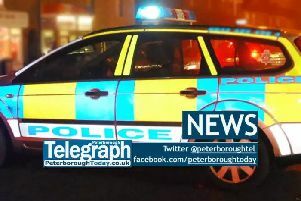 On Friday (15 March) the pair appeared at Peterborough Crown Court following guilty pleas being entered at a previous hearing. Sereaton was sentenced to four years in prison, while Akinola was sentenced to a two-year community order and must complete 80 hours of unpaid work. PC Matt Smith, from the southern Impact Team, said: “Tackling drug dealing in Cambridge remains to be a priority for local policing teams, which is why I would encourage members of the public to continue to pass on any information in relation to this crime. If you have information about drug dealing in your area please contact us online at www.cambs.police.uk/report.